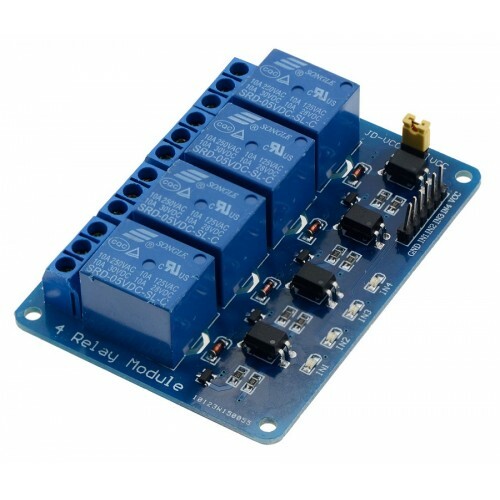 Relay board module with 4 onboard relays. Each relay can switch devices with current up to 10A. Optical isolators are included in the circuit to protect your driver device from reverse voltage surge.